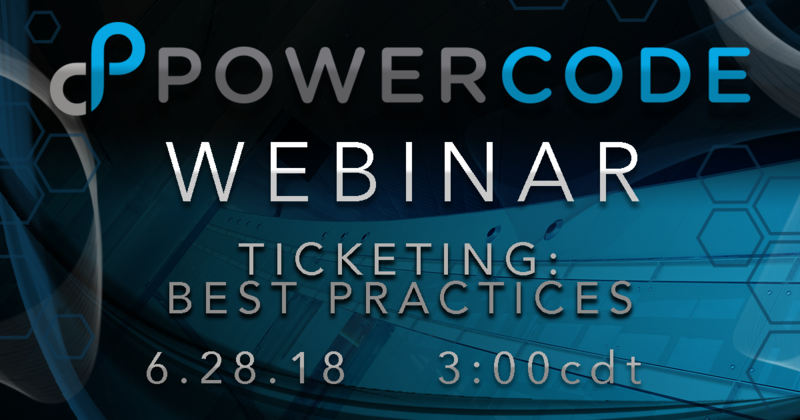 Ticketing Best Practices Webinar TOMORROW! Have you ever wondered if you’re using ticketing to it’s fullest? Know what categories, types, and groups are for? Know when to use updates and when to use comments? Get the answers to these questions and many more. 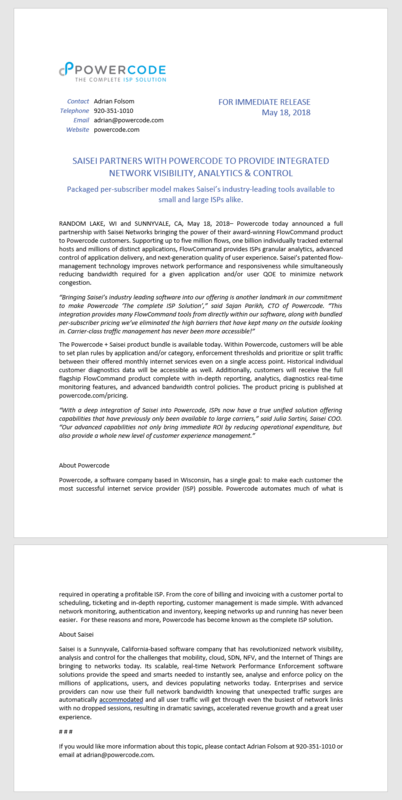 Tune in to streamline your workflow and make sure you’re providing your customers with the best experience! Managing inventory properly can ensure your tech’s have the equipment they need to complete their jobs, track trends and mitigate theft. 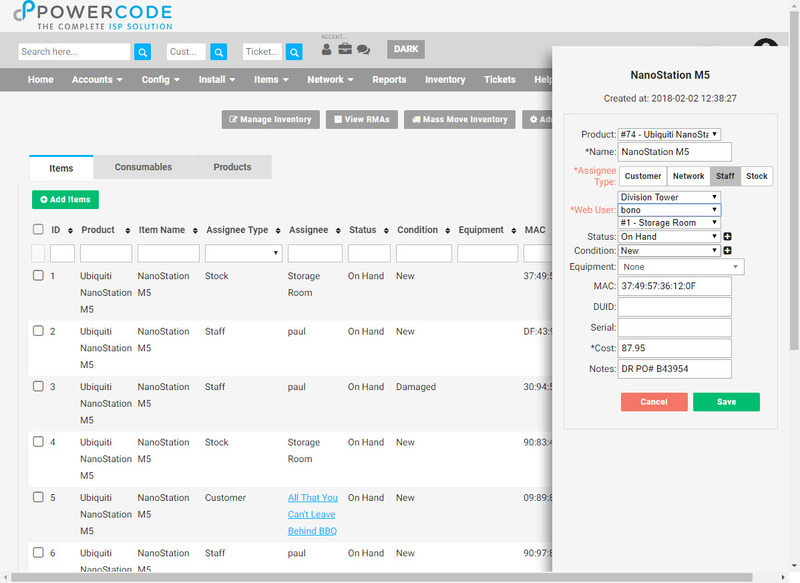 Powercode makes it easy to know where every item is once it’s delivered. 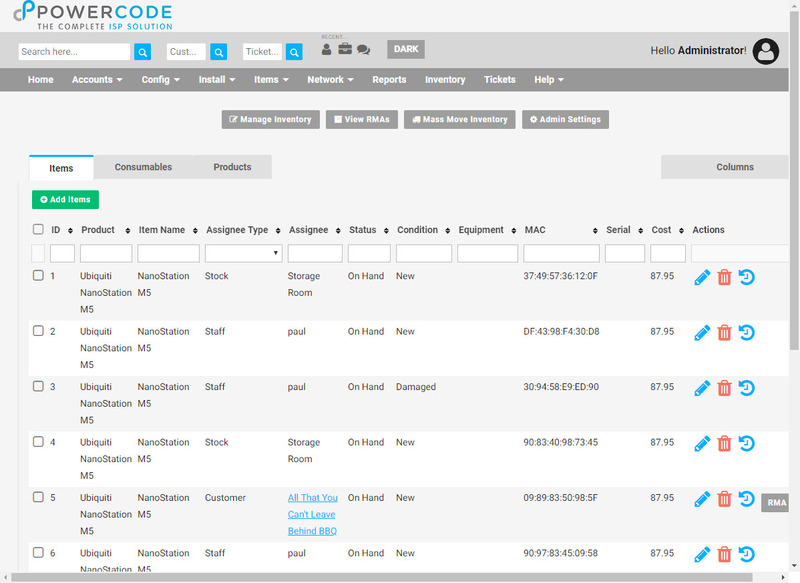 To begin using the inventory feature you will need to establish all of your products and consumables, click on the ‘Inventory’ tab at the top of any screen then click the ‘Manage Inventory’ button. The manufacturer and type for each item will need to be built and any vendors should be added too. 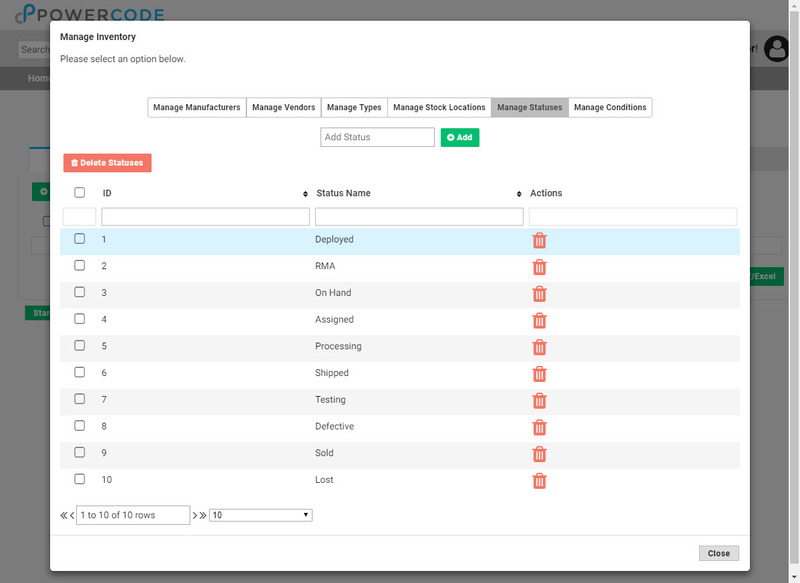 Stock locations indicate where the items are stored and checked out from so most will only have one unless you maintain a remote stock facility. The ‘Statuses’ and ‘Conditions’ tabs come populated with all the scenarios needed, but the ability to add custom ones for any outliers is still available. 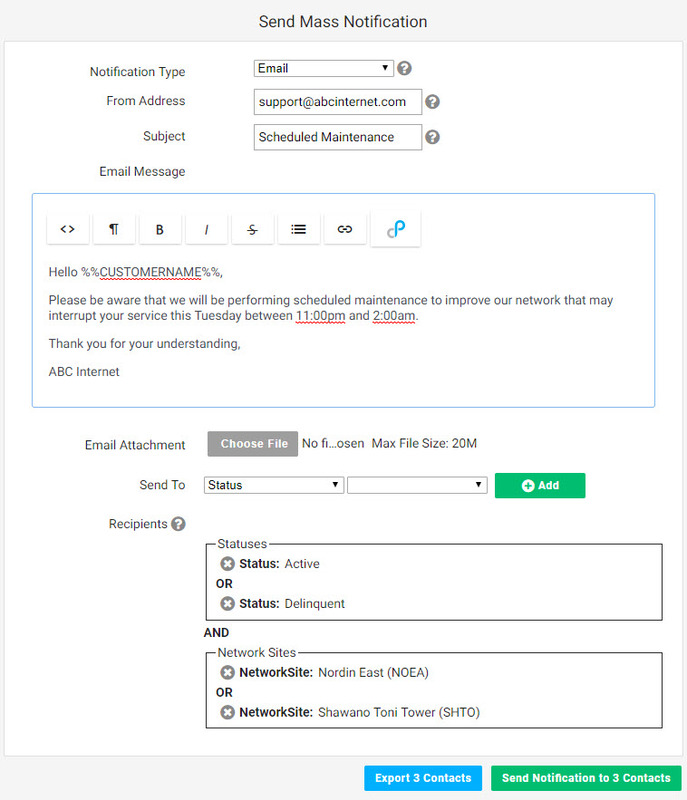 Next make sure to click on the ‘Admin Settings’ button and enter the email address of your purchasing agent or whoever is responsible for keeping equipment in stock. 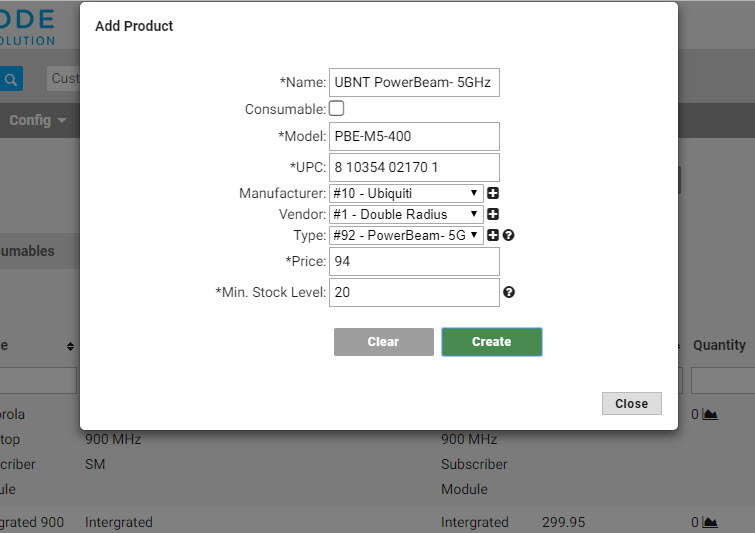 Then click the green ‘Create Product’ button on left hand side under the ‘Products’ tab and add a product for each individual type of equipment that will be tracked. This default information can also be overwritten when entering the actual items into stock. Pay special attention as to whether it is an item with a trackable serial number and MAC or if it’s a consumable and check the box if so. When the count of an item/consumable in a stock location drops below the number set in the ‘Min. Stock Level’ box, a warning email is sent the address established in the aforementioned ‘Admin Settings’ box. Now the actual items can be added to stock from the green ‘Add Items’ button under the ‘Items’ tab. If multiple of the same item are being added at once, click on the ‘Bulk entry mode’ link with the lock icon. Then click on each lock next to the line that will remain the same for each entered item. Typically that will be for all except the MAC, DUID and/or Serial. A USB barcode scanner can be purchased making input significantly quicker. When it’s time for a tech to remove an item from the stock room, they simply hit the edit pencil icon next to the item, choose the ‘Staff’ Assignee Type and select their name from the Web User drop down. When it’s added to a customer account nothing further is necessary as it will automatically remove the item from it’s location and add it under the ‘Equipment’ tab of the customer. 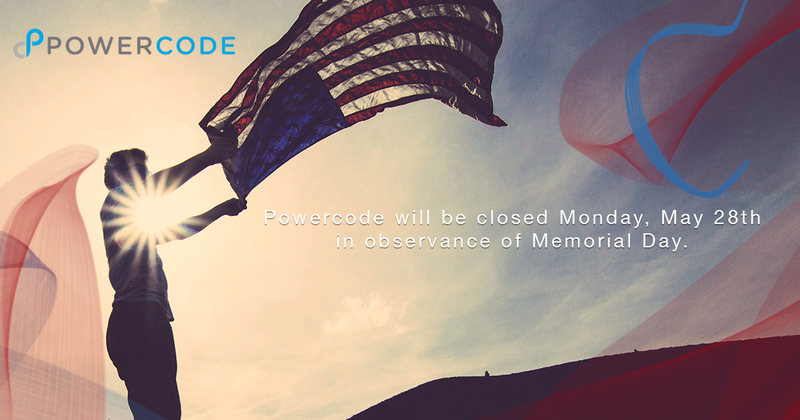 Powercode provides automatic emails to provide top-notch communication to your customers and alert employees of important events within the system. If you haven’t looked at your system emails lately to see what’s active and what’s not now would be a great time to review them. At the time of this article we have thirty different events that can send emails to the contact(s) listed on an impacted account. There are thirteen different triggers to let employees know of changes that they should be aware of and one for anyone who has a schedule set up. 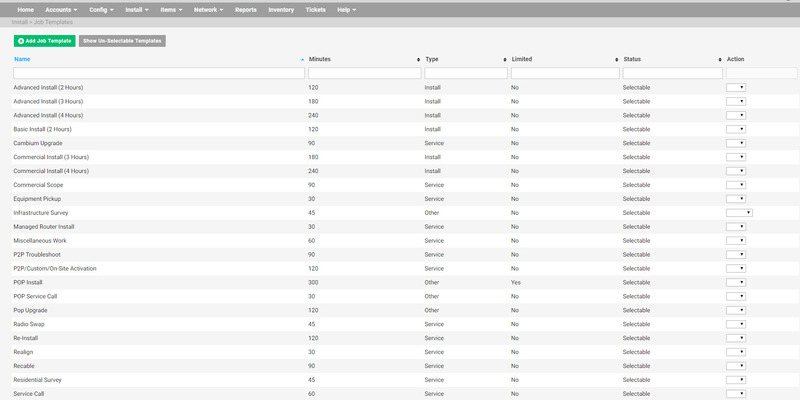 From the ‘Config’ tab a the top and select ‘System Email’ to see which emails are currently setup, check the status column to see if they’re actively in use or not. If you don’t see an email you want already in the table, click on the ‘+Add System Email’ button in the upper left. 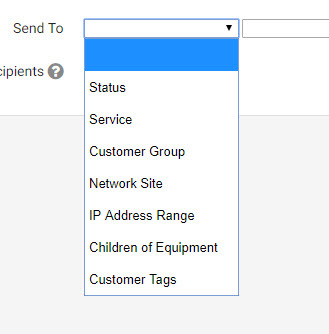 Name the email in the ‘Description’ field and chose what should trigger it from the ‘Send Event’ drop down. Note that some events allow for a ‘Days Prior’ field. 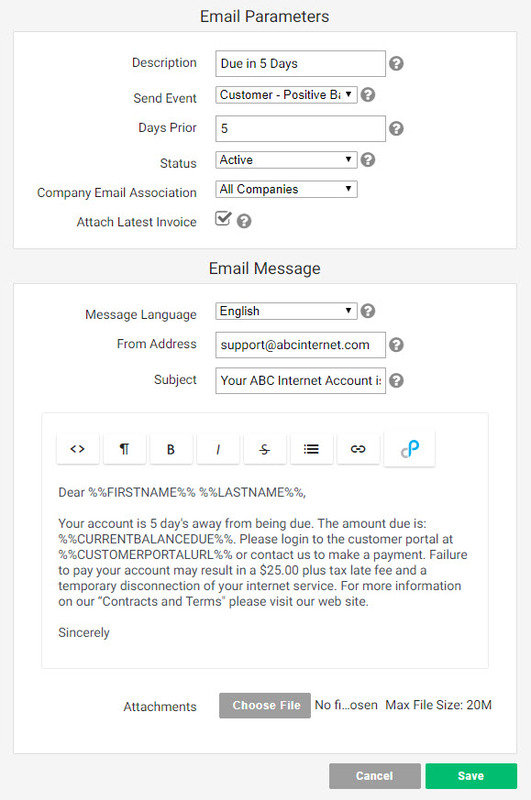 The email can be set to only send for one of your companies or all from the ‘Company Email Association’ field. The option is given to include the latest invoice each time this email is triggered, this is only recommended for new billing or delinquency warning emails. 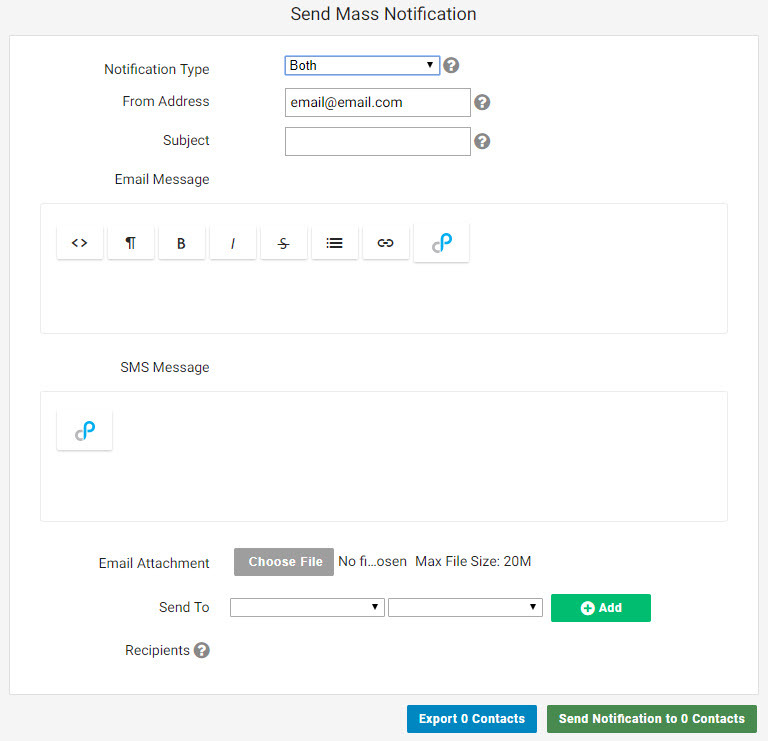 Set the from address and subject for the recurring message. 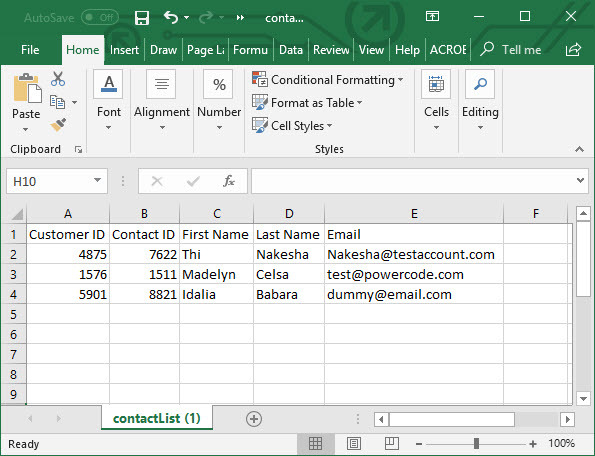 Fill out the body of the email which gives basic formatting features including hyperlinking. Choose a attachment if relevant and click ‘Save’. Make sure you are taking advantage of the dynamic variables to personalize the message to each customer. 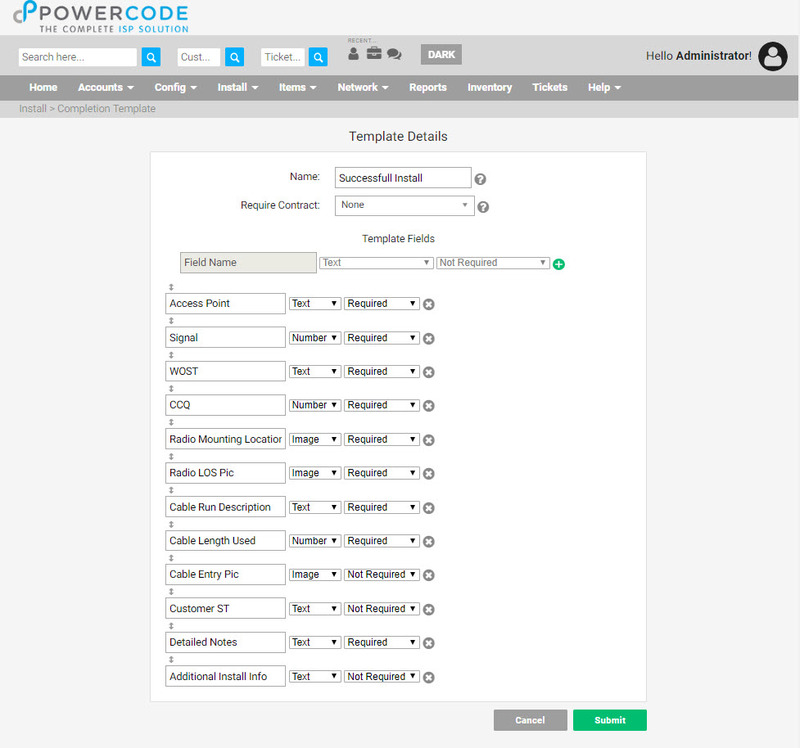 Click on the Powercode logo on the far right of the email body to show the available fields that will be populated by the associated info from each customers account, see the chart below. 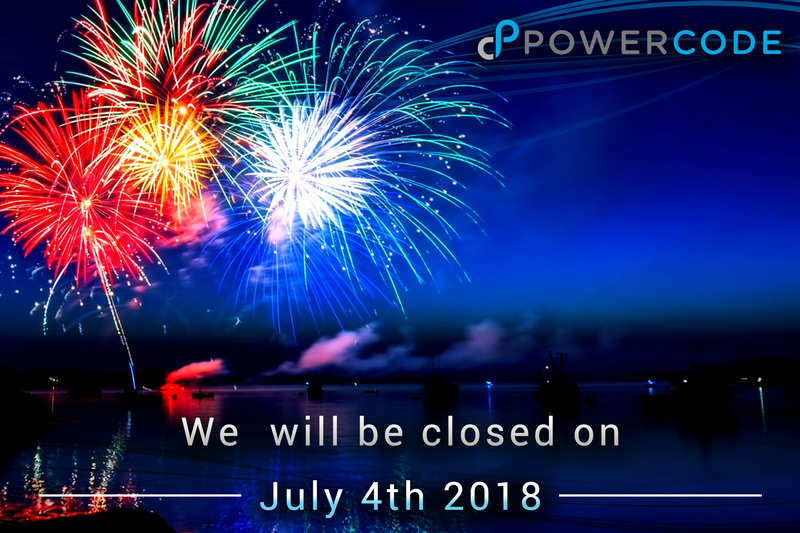 In addition to providing details about the triggered event this is a good way to encourage use of customer portal or provide other helpful info about their account. When Powercode was installed default system emails were loaded with generic messages. It is a good idea to review each and make sure it captures your company’s messaging tone and includes the info you want for each type of event. To do this from the action column click the ‘Select an action’ drop down and choose ‘Edit’, then do it again on the next page. Edit your message and take full advantage of the dynamic variables. 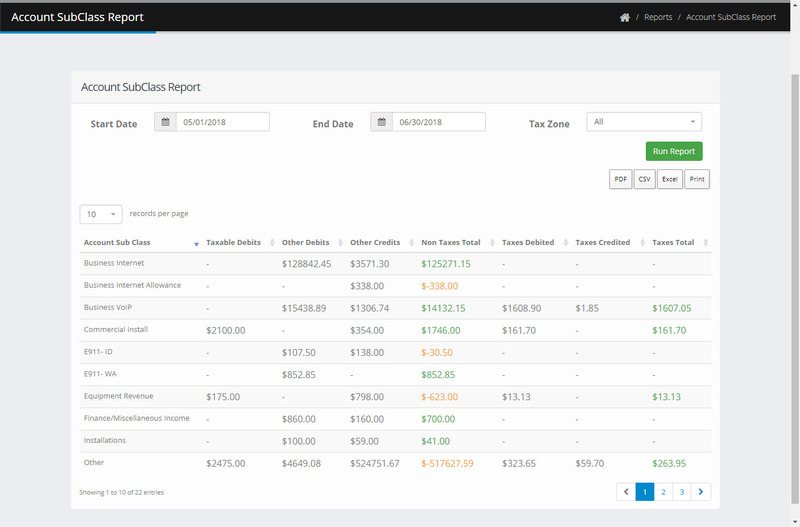 Effective use of templates is a great way to increase efficiency, visibility and productivity in your field tech teams. 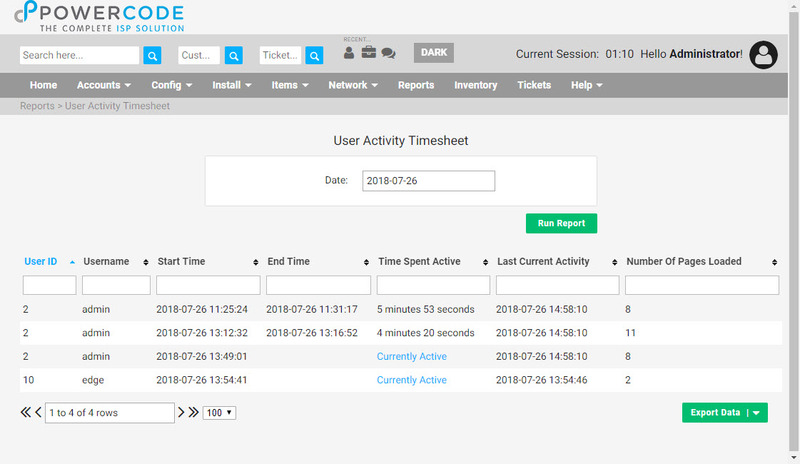 Days can be completely filled with jobs eliminating waiting around and managers can set mandatory fields for text, numbers or files (images) to guarantee the right information is being recorded for the specific job that was done. There’s also a ‘Request Rescheduling’ checkbox on the failed templates which drops the job into the stand-by list to make sure these not completed jobs don’t slip through the cracks. To begin using templates start by creating a ‘Completion Template’ from the ‘Install’ tab. Give the template a name, be sure to include if it’s of the success or fail variety, and if it should bring up a contract at completion for the end user to sign. From there add the fields of your choosing for text, number, image, file or selection and if each is mandatory to complete the job. For an install, some popular fields are speed test of the radio, signal strength or other radio stats and length of cable used can be handy too. A picture of the install itself can be used for training and a picture of the radio’s view to the access point can help with troubleshooting in the future. The ‘Completed Jobs’ report will show the successful and failed jobs by ‘Job Template’ based on a date range with all of the completion fields for helpful analysis. The same completion template can be used for one or many different jobs so only make additional ones to capture different information. These completion templates can now be added to ‘Job Templates’ also under the ‘Install’ tab. It’s encouraged to create a new job template for each type of job a tech might do as opposed to just having an install or service call. A realign shouldn’t take the same amount of time as a cable run nor would the information needed on completion be the same. Then over time comparing these job types to the historical check-in/check-out duration data it can be seen whether the time given to complete is sufficient, too little or too much. 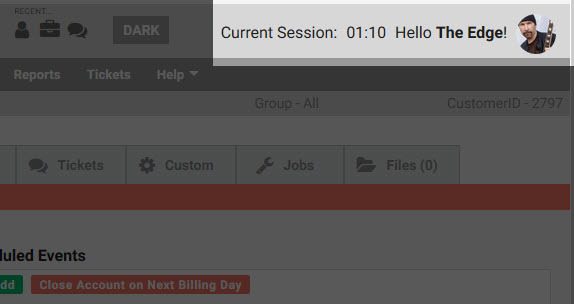 Take note that in addition to the basics of name minutes and type can be set to not show drive time or require notes. Also, jobs can be restricted to specific techs which is helpful when applied to some of the more complex or involved scenarios.